PK was established by a dynamic and aggressive team of professional who share the passion and drive to provide solution to corporate companies and designers who value a conducive, exciting and efficient workplace. Our business approach is to provide and share out ideas into having a productive workplace to our client and business partner as well as providing speedy and attentive after sales service in order to compete in today competitive market. We specialize in office furniture and seating. The concentrated efforts enable us to innovate and progess aggressively from aspect of product development, marketing activities to customer services. We believe the only thing constant is change, with that in mind, we always exchange information and ideas with our clients of adapting and embrace changes and thus, facing the challenging changing world. 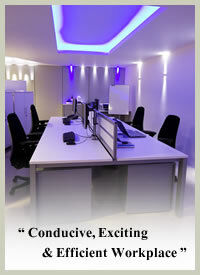 With the innovative products lines, we provide solution to create exciting and productive workplace.